President Alpha Condé Wednesday presided at the launch ceremony for the Magnetic Resonance Imaging (MRI) service of the National Social Security Fund (CNSS) diagnostic center in Conakry. “I congratulate the Fund’s general manager and all employees for this progress. 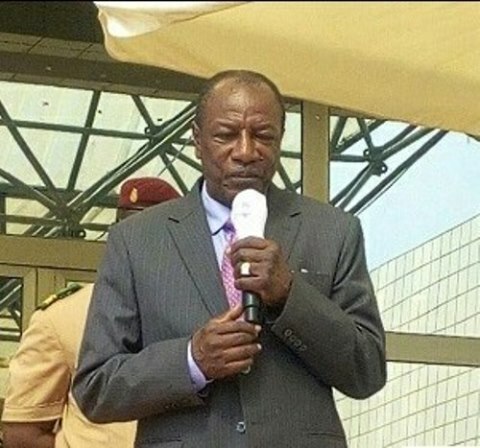 Guinea loses a lot of money to evacuate patients to Morocco, Tunisia or sometimes France,” Conde said. It is extremely important that Guinea acquires medical resources so that its population can benefit from medical care as available abroad. The MRI machine is a first in Guinea, said Malick Sankon, head of the CNSS; it is the latest version 4.0-machine and at the forefront of medical imaging technology, he said. “It will allow a clear precision in the diagnosis of several pathologies and will contribute to the reduction of medical evacuations, especially those related to the need for reliable diagnosis, he added.